As the owner and creator of The Ranger Station, I’ve not only built my own off-road Rangers, but I’ve had the chance to hit the trails with numerous other Ranger owners, look at their setups, and see what works. This page is geared more toward the beginner and intermediate builders, and is not an all inclusive step-by-step guide. This may seem like a stupid question, and you may think that ‘off-road’ covers everything. Being realistic about how you plan to use the truck will help to ensure that you’re making the proper modifications, and choosing the right parts. 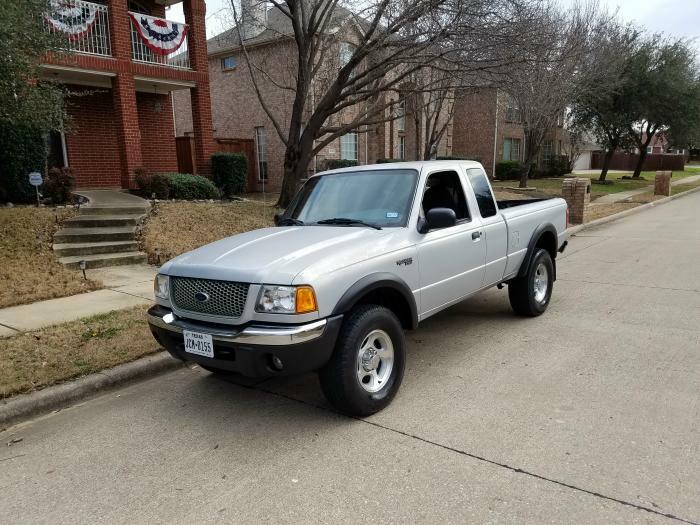 I’ll use the photo of my 1996 Ford Ranger above as an example. That Ranger has been able to take me anywhere I could want to go off-road. But, it’s not a serious rock crawler. 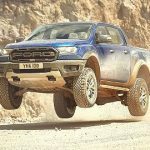 The 33-inch tire size limits the size of the rocks I could crawl, and the tire size that I would need would require larger axles, along with a completely different suspension setup. And while it could take me anywhere I could want to go if I was overlanding, the bed cage, spare tire, tool box, and bed mounted batteries pretty much render the bed useless. There would be no room for a fridge, roof top tent (or camper shell), and camping gear. Decide on how you plan to use the truck before you start building it. Know what type and size of tire is going to best suit your needs. A significant increase in tire size will require a change in the front and rear axle gear ratio’s to return the stock performance. You’ll want to use a good tire size to axle ratio combination. You can find out more on that below under Tire Size vs Gear Ratio. Suspension Lifts – A suspension lift will not only make room for larger tires, but it also moves the frame and drivetrain higher up from the ground. This will provide more ground clearance off-road. BUT, only tire size will affect how much room is between the axles and the ground. Lifting your truck will affect its center of gravity. Ideally, you always want to keep your center of gravity as low as possible. A higher center of gravity will have a negative effect on how your truck handles, and increase the chance of a rollover when you’re navigating steep angles. Body Lift – A body lift is a 2-inch or 3-inch spacer (3-inch is most common) that is bolted between the frame, and the body mounts. This will lift the body and make room for larger tires. It’s much cheaper than a suspension lift, and doesn’t increase your center of gravity as much as a suspension lift would, since the frame and drivetrain have not been raised. Cut Fenders / Fender Flares – Another method of increasing tire size is by cutting the fenders and increasing the size of the wheel openings. Some people bolt on fender flares designed to cover the cut out openings (and cover the wider tires you’ll be adding), and some use a trim material along the edges of the cut to clean up the look, and protect from the sharp edges. Some cut the fenders and don’t use a flare at all. Some people use a combination of suspension lift, body lift, AND cut fenders. 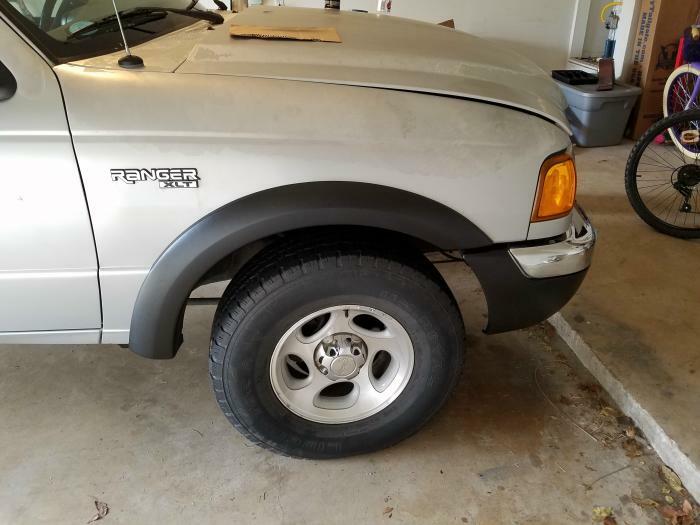 The 1983-1992 Ford Ranger has a smaller wheel opening than the 1993-2011 Ford Ranger, and it’s more common to find cut fenders on these earlier Rangers. People seem to think that you need to go as high as you can afford, and get the biggest tire you can fit. Keep in mind that larger tires are going to require more power to turn them. If you make a major increase in tire size, you’ll need numerically higher gears to compensate, and return the stock performance. 31-Inch Tires: I’ve seen the earlier (1983-1992) Ranger’s get a lot of places on the trail with only 31-inch tires. 33-Inch Tires: I believe that 33-inch (or 285/75/R16) is good all around tire for a daily driven off-road Ranger. 35-Inch Tires: A 35-inch tire is definitely the max for a daily driver, and could push your truck above your states legal height limits. It’s also about the biggest tire your stock front axles can handle. 36-Inch & Larger Tires: A 36-inch tire will definitely max out your stock axles. 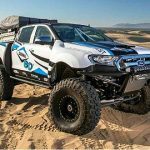 If you think that you want to starts to push the limits of the stock Ranger axles, and anything above that is going to get you in to axle swapping. Dana 28 Axles: The smaller Dana 28 front axle in the older 1983-1989 Ford Ranger’s are best suited for 31-inch tires. Don’t be surprised if you break a locking hub, or break an axle shaft at the u-joint running 33-inch or larger tires. They can handle 33-inch tires with moderate off-roading. If you’re serious about off-roading, upgrade to a Dana 35 axle from a 1990-1997 Ford Ranger, or 1990-1994 Ford Explorer. Dana 35 Axles: The Dana 35 front axle (both the 1990-1997 Twin Traction Beam and 1998-2011 Short Arm – Long Arm) can handle 33-inch and 35-inch tires. The weak link in the Dana 35 TTB is the flange style locking hubs. If you’re only going to use a 35-inch or smaller tire, you can upgrade to the stronger WARN 37780 Jeep Hub. Ford 7.5-Inch Axle: The Ford 7.5-inch rear is best up to 33-inch tires, although I’ve seen them running 35’s. If you’re serious about building an off-road capable Ford Ranger, you should swap out the Ford 7.5 rear axle for a 31-spline 8.8-inch axle (see below). Ford 8.8-Inch Axle: The 28-spline 8.8-inch axle is better suited for the 33-inch to 35-inch tire sizes. The Ford Explorer and Ford Ranger FX4 31-spline 8.8-inch axle could easily handle 35-inch and 36-inch tires. The 31-spline 8.8 axle is about 30% stronger than the 28-spline 8.8 axle. Swapping out a 28-spline 8.8 for a 31-spline 8.8 is a judgement call. I’ve replaced a 28-spline 8.8 with a 31-spline 8.8 from a Ford Explorer because it came with disc brakes, and since there was a good amount of money being spent to replace the gears and add a Detroit Locker, it just made more personal sense to invest the money in a 31-spline setup. For more information on what rear axle, differential type, and gear ratio your Ranger has, click HERE. For more information on the front axle in your 1993-1997 Ford Ranger click HERE, and for more information on the front axle in your 1998-2011 Ford Ranger, click HERE. In the photo above, you can see how the torsion bar hangs down under the passenger door. This is definitely something you don’t want to damage on a rock when you’re offroading. That bar, and the twisted tension applied to it, acts as the spring that holds the front end up. The common method for lifting these trucks is to add a 3-inch body lift, and then crank the torsion bars to level the truck. Some even crank them a bit higher, and also add a 2-inch block under the rear springs for more lift. These trucks can handle 285/75/R16 (33×11.50×16) with some torsion bar cranking. You can also fit 285/75/R16 (33-inch) tires with a 3-inch body lift, and fit 35-inch tires with a 3-inch body lift, a torsion bar crank, and 2-inch lift blocks under the rear springs. You may need to trim the plastic valance behind / below the front bumper. For information on cranking your torsion bars – click HERE. If you have a 2008-2011 Ford Ranger 4×4, you may want to check out this Pre-key Modification. For information on installing a body lift, click HERE. For better references on lift and tire sizes, click HERE. 1993-1997 Ford Ranger: You can fit 33-inch tires with a 4-inch suspension, but you may need to do a little fender trimming. A 6-inch lift would give you plenty of room. I used a 6-inch kit on my 1996 Ranger (top) with 33-inch tires. I could have squeezed 35-inch tires on, but they would have rubbed as the axle articulated up and down. To run 35-inch tires on the 1993-1997 Ford Ranger, you’ll need a 6-inch lift with either cut fenders, or a body lift. In the side shot of my Ranger (below), you can see the tire clearance I had with a 6-inch lift and 33-inch tires. The truck has fiberglass front fenders, but the bedside’s are stock. Even with the lift, you can see how close the tires are to the front of the bed (rear) and the rear of the front fender. Even with the 6-inch lift, the tires rub under extreme trail conditions. I would not run 35-inch tires on this Ranger (photo above) without trimming the fenders. I also would not install a 3-inch body lift. While the 3-inch body lift would give me the room I needed for 35’s, it would also increase my center of gravity, and I want to keep that as low as possible. For information on adding a body lift, click HERE. 1983-1992 Ford Ranger: The Dana 28 front axle, and Ford 7.5-Inch rear axle on the 1983-1989 trucks are best suited for 31-inch tires. 33-inch tires are the max. This also applies to the 1990-1992 4-cylinder Ford Ranger with the older Dana 28 front axle. The 1990-1992 4.0L Ford Ranger came with the larger Dana 35 front axle, and Ford 8.8-Inch rear axle. They can handle 33 and 35 inch tires. You can fit 31-inch tires by either cutting the fenders, or installing a body lift. You can fit 33-inch tires by installing a 6-inch suspension lift, but you may need to trim the fenders. They may fit when the truck is sitting still, but will likely rub on the trail. You can also fit 33-inch tires by installing a 4-inch suspension lift along with a 3-inch body lift. Again, you may find yourself needing to trim your fenders once you’ve been on the trail. You can fit 35-inch tires by installing a 6-inch suspension and a 3-inch body lift, or a 4-inch suspension lift with a 3-inch body lift and cut fenders. 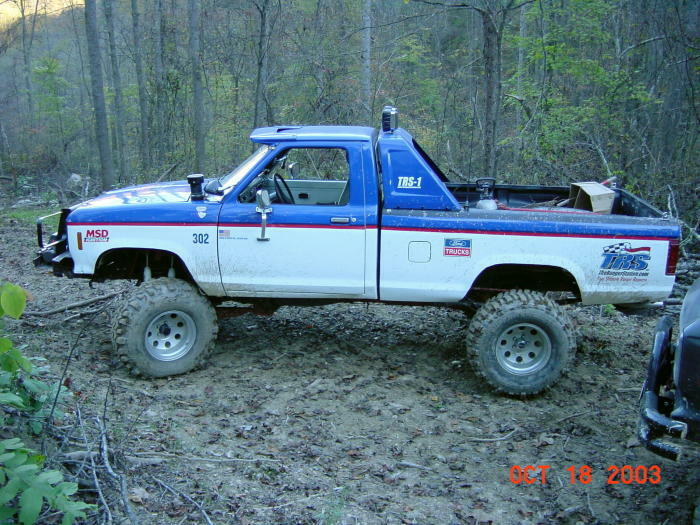 Below is a photo of my 1983 Ford Ranger with a 4-inch suspension lift, 3-inch body lift, and 33-inch tires. I had to trim about 1-inch out of my fenders (wheel openings) to get the tires to fit, but you can see that they still rub the back side of the front fender. Also notice how this truck has an all around better stance than my 1996 Ford Ranger (above). They’re both running 33-inch tires, but the single cab has a shorter wheelbase. The 1996 would actually look better if it was on 35-inch tires. The gears in your axles multiply the engines torque output to turn your wheels. This is why a 4-cylinder Ranger will have a numerically higher gear ratio than a V6 powered Ranger. This is also why you find full size trucks with towing packages that have numerically higher axle ratios than trucks without a towing package. Many 4×4 Ford Rangers come with a 3.73 gear ratio, but if you want to swap to a 4.10 gear for cheap, go to a salvage yard and look for a 4-cylinder Ford Ranger with 4.10 gears, and swap the whole axle. Adding a larger tire will decrease the effectiveness of your trucks gear ratio, and you’ll see a loss of performance. You have to compensate for that by changing to a numerically higher gear. You can use our Gears Needed After Adding Larger Tires – Calculator to figure out what size gears you need when you swap to a larger tire. The 4.56 gears, 4.0L V6, and 33-inch tires were the perfect power combination in my 1996 Ford Ranger (above). As much as I love its capability, I admit that it would have a better stance if it was sitting on 35-inch tires. I had briefly considered swapping to the taller tire, but I would have needed to re-gear both axles from 4.56 to 4.88’s to compensate for the larger size. I simply couldn’t justify the expense of re-gearing the axles just to go up one tire size. I geared these axles with the 33-inch tire size in mind. This is why I think it’s critical to know what tire size you plan to run when you re-gear your axles. Many people have a misconception that 4-wheel drive means that power is sent to all four wheels when 4HI or 4LO is engaged. But that’s not exactly true. Your Ford Ranger came with either an ‘open differential’, or a ‘limited slip’ differential. With open differentials, power is only applied to one rear wheel (usually the right rear) and one front wheel (usually the left front). A limited slip differential will send power to both wheels equally when traveling straight, however when one wheel spins due to a lack of traction, the differential will automatically provide torque to the other wheel with traction. The limited slip is obviously better than an open differential. But it won’t send 100% of the power to both wheels in extreme situations. When your stuck in the mud, or climbing a difficult trail, you want power going to both tires at the same time. Not just one. This is where a locker comes in. When engaged, a locker will send power to both wheels, or all four wheels if you have front and rear lockers. There are a variety of locker types. There are small lockers that will fit inside of your existing open differential. These do not affect the setup of the original gears. There are lockers that completely replace your factory differential, and require an experienced mechanic to reinstall your axle gears to the proper specifications. This is obviously an area where knowing how you plan to use your truck will guide you toward the differential set up you need. For more information on differentials, and picking the right differential for you, click HERE. 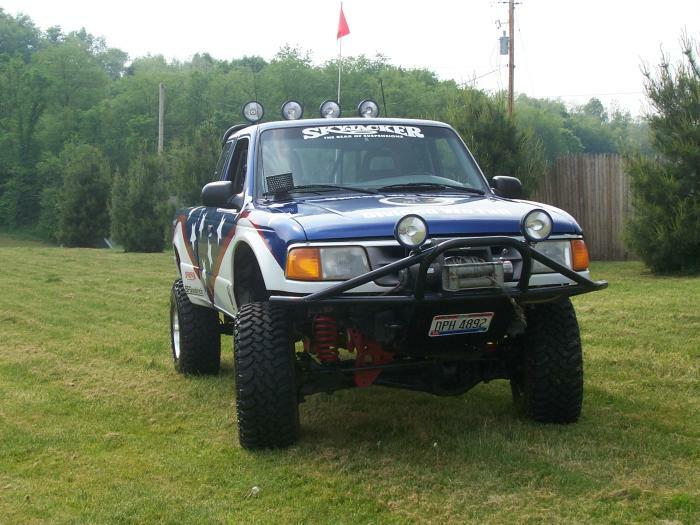 1983-1989 Ford Ranger: These Ford Rangers came with a Dana 28 front axle, and a weak A4LD automatic transmission. I would look for a 2.8L or 2.9L V6 model with a 5-speed manual transmission. The early automatic’s in these trucks don’t survive very long off-road. If you buy a Ranger that still has automatic locking hubs, swap them out for manual locking hubs. You can find more information on that HERE. 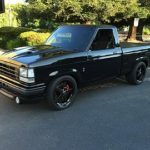 Low Buck Build: Look for a standard cab short bed model with 3.73 gears. If you find one with an open rear differential, you could easily add a Lock-Right locker to the factory open differential. Make room for 31-inch tires by either using a 4-inch suspension lift, 3-inch body lift, and / or cutting the fenders to make room. Moderate Build: Replace the stock Dana 28 front axle with a Dana 35 from a 1990-1997 4.0L powered Ranger or 1990-1994 Ford Explorer. You’ll have to have your front driveshaft shortened. Have 4.56 gears installed in your axles, along with a 6-inch lift and 33-inch tires. You’ll have to do some fender trimming to get them to fit. There’s a good possibility that you’ll end up with a open front differential and a limited slip rear. Add an inexpensive locker to the front differential (Lock-Right), and a locker to the rear if it’s open as well. A limited slip will work fairly well in moderate off-roading, but you may want to replace it with a true locker. For more examples of tire size and lift comparisons, click HERE. 1990-1997 Ford Ranger: The 4.0L and 3.0L models came with the larger Dana 35 front axle, along with a 28-spline 8.8-inch rear axle. The weakest link in these Ford Rangers is the A4LD automatic transmission that Ford used up through 1994. Starting in 1995, Ford began using the 4R44E automatic behind the 4-cylinder and 3.0L engines, and the 4R55E behind the 4.0L V6 engine. 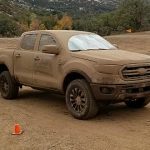 I personally would not build an off-road Ford Ranger that had an automatic transmission, unless it was a 1995 or newer model. If you buy a Ranger that still has automatic locking hubs, swap them out for manual locking hubs. You can find more information on that HERE. Low Buck Build: Any V6 model with a manual, or a 1995-1997 model with an automatic. Bolt on a 4-inch lift with 33-inch tires (may need to do some fender trimming), and consider adding a locker to the open differentials if they’re not limited slips. You’ll get more torque to turn the larger tires with a manual transmission thanks to it’s 3.40 (4.0L models) or 3.72 (all other models) 1st gear versus the automatics 2.47 1st gear ratio. 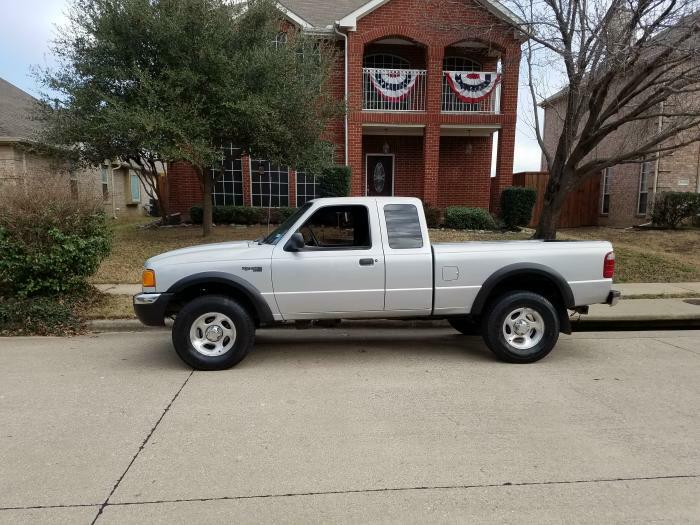 Moderate Build: I would build a 1995-1997 Ford Ranger with the 4.0L and 4R55E combination combined with a 6-inch suspension lift, 33-inch tires, 4.56 gears, and lockers in the front and rear axles. If you wanted to go with a larger tire, I would cut out the fenders to fit 35-inch tires, and use 4.88 gears and lockers. Get a set of Skyjacker extended radius arms to allow more wheel travel from the front suspension. You can upgrade to manual locking hubs. For more on that, click HERE. If you install a front locker, you can unlock the front axles so they’re not turning when you’re on the street. In 2001, Ford switched to a live axle setup which means that the front axle is turning all the time, and can’t be disconnected. The downfall to that is that you can’t run a true locker in the front axle, because there’s no way to disconnect the front axle shafts when you’re on pavement. Torsen makes a differential for these Rangers that is more like a limited slip. The only other option is a Lock-Right locker, but that would require you to have an open differential to install it in, and the 1998-2000 front axle setup with a manual hub swap. It’s important to note that Ford offered a FX4 model of the Ranger from 2002-2009. These trucks were specifically built with off-road in mind (I know because I personally discussed this truck with engineers when it was designed, and drove it before it was available to the public – more HERE) I would search for a 2002 FX4, or a 2003-2007 FX4 Level II model to ensure that you’re getting the 31-spline 8.8-inch rear axle, 4.10 gears and Torsen differential. For more information on the Ford Ranger FX4, click HERE. 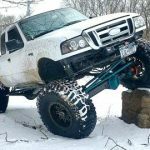 Mild Build: Build a 2002 FX4, or a 2003-2007 FX4 Level II with a 3-inch body lift and 33-inch tires. Another option would be a 1998-2000 Ford Ranger with a 3-inch body lift, 33-inch tires, and a manual locking hub swap. I don’t really like cranking the torsion bars because you’ll lose downward wheel travel, but you could crank the front torsion bars, and add a 2-inch lift block to the rear, and easily run 33-inch tires (see my 2001 Ford Ranger below). 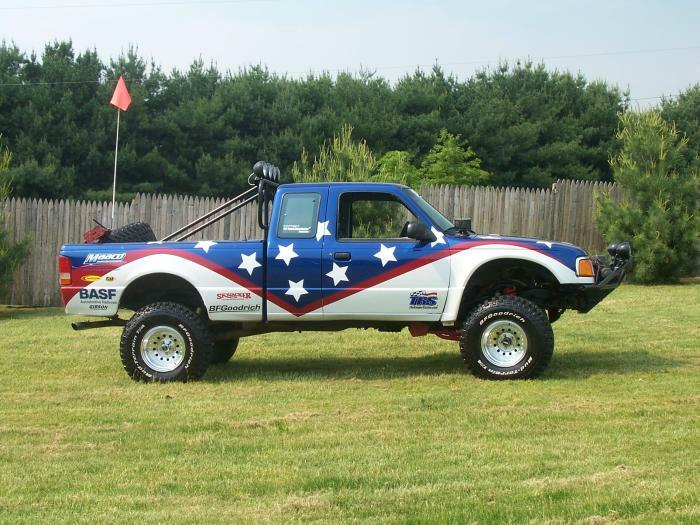 Moderate Build: Any 1998-20011 Ford Ranger 4×4 with a 3-inch body lift, 33-inch tires, and a rear locker. Install a Torsen differential in the front, or a Lock-Right locker if you have a 1998-2000 with a manual hub swap. Upgrade to 4.56 gears, or 4.88’s if you want to run 35-inch tires. Cut the fenders and add cut-out fender flares to make room for the 35-inch tires. Below is my 2001 Ford Ranger. It has a 3.0L automatic with an open 28-spline 8.8-inch rear axle and factory 4.10 gears. The previous owner cranked the torsion bars to lift the front, added a 2-inch lift block under the rear springs, and installed 265/75/16 (31-inch) tires. You can see from the photos that the truck could fit 33-inch (285/75/16) tires, but may require a little trimming of the front plastic valance behind the bumper to prevent rubbing. Since it has an open differential, I could easily add a Lock-Rite locker to the rear axle. If I added a set of cut out fender flares with 33-inch tires, this would make an inexpensive every day driver, and weekend trail truck. There has been a mentality that you need to swap in a Dana 44 solid front axle to make a capable off-road truck. I simply don’t see the point unless you plan to run 36-inch or larger tires. Since this page is geared more toward the beginner and intermediate builders, I don’t see any reasons to get in to that. The 1990-1997 Dana 35 TTB front axle setup has had a long and successful career in off-road racing due to it’s ability to provide a lot of wheel travel. The Dana 35 has a 7.5-inch rear gear, and the larger Dana 44 has a 8.5-inch ring gear. Other than the Dana 44’s 1-inch larger ring gear, the Dana 35 TTB actually has front axle shafts comparable to the Dana 44, and shares the same u-joints. The weak link in the Dana 35 is the flange style locking hubs. TRS Staff member 4x4Junkie has performed a Dana 44 TTB swap, and has since said that he would never do it again. He would simply swap the Dana 44 knuckles and stub shafts (the short shaft that goes in to the locking hub) on to a Dana 35 and use the 1/2 ton Dana 44 manual locking hubs. You can read more on this type of hybrid knuckle swap HERE. If you’re only going to use a 35-inch tire, you can upgrade to the stronger WARN 37780 Jeep Hub. I’m not a fan of the SLA front suspension on the 1998-2011 Ford Ranger. You’ll never get the wheel travel out of them that you’ll get from a Dana 35 TTB setup. Furthermore, you’re pretty much stuck with a live axle setup with very little option for a front locker. I could definitely see the benefits of a Dana 44 solid axle swap on a 1998-2011 4×4 Ford Ranger. If I was to build a 1990-1997 Ford Ranger with a Dana 35 TTB and wanted to run 35-inch or 36-inch tires, I would do the Dana 44 knuckle swap on a Dana 35. If I wanted to run 38-inch or larger tires, I would skip the Dana 44 and go straight to a Dana 60 solid front axle. If I was to build a 1998-2011 Ford Ranger and wanted to run 35-inch tires, I would seriously consider a Dana 44 solid axle swap. One last thing, if you do swap to a Dana 44, or use Dana 44 knuckles and hubs, you’ll need to switch to wheels with a 5×5.5 bolt pattern, and use an adapter on your Rangers rear axle to bolt the wheel to the stock 5×4.5 bolt pattern. Obviously larger tires require more power to turn them. I’ve swapped out a 2.8L V6 for a 302 (5.0L) V8. I’ve also built and wheeled a 4.0L V6 powered Ranger. In my opinion, the V8 is great in a street or show truck, but can be very temperamental in an off-road truck. The exception would be a mud bog truck, or desert race truck where you actually need the horsepower to create wheel speed. If you choose this option, engine heat will be your enemy, and you’ll likely find yourself staring at the temperature gauge – a lot. If you have a 4-cylinder or older 2.8L or 2.9L, I would consider a 4.0L swap if you feel like you can’t gain enough power out of re-gearing your axles. 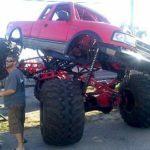 If you’re building a mud bogger or race truck, you’re hopefully at the point that you don’t even need this page. There are certain suspension kits that I would recommend, and others I would stay away from. For more recommendations on suspension kits and other off-road accessories, check out the Off-Road Product Guide. As I said, this is not meant to be an all inclusive step-by-step guide. 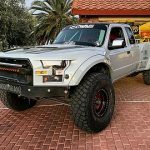 There are numerous ways that you could build an off-road truck. This will hopefully give you some basic knowledge to get you pointed in the right direction. Be sure to check out the Off-Road Product Guide for more information to help you pick the right products.